(by Morgan Chalfant, The Hill) – West Virginia is testing a new secure mobile voting application to help active-duty military members vote in the upcoming May primary election. The app is powered by Blockchain, a type of technology used to secure cryptocurrency that has gained increased attention with the rising popularity of digital currencies such as bitcoin. The technology has already been [used] in health care and other industries to secure data. Security experts…have increasingly pointed to blockchain technology as a way to secure election systems and ensure confidence in future votes. West Virginia is the first state to test out a blockchain-based application to administer a federal election. In order to sign up for the new program, military voters in the two counties need to apply for special absentee status and download the secure app on an Apple or Android phone or tablet. Military members registered vote in West Virginia are currently allowed to cast ballots by mail, fax and email. 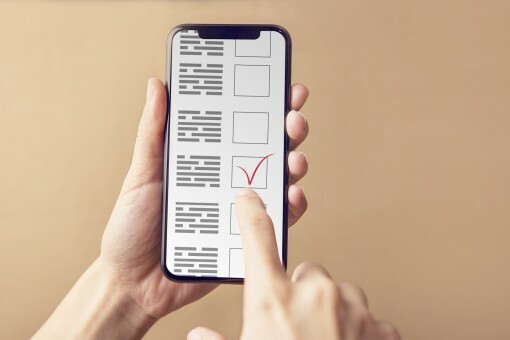 The app was designed by Boston-based tech startup Voatz, which secured more than $2 million in funding earlier this year to develop blockchain voting technology. It encrypts data to ensure the voter’s ballot is securely transmitted. The West Virginia primary will take place on May 8. 2. a) What will West Virginia do if the pilot program is successful? b) How will the state election board know if the program is successful (that the app is recording all votes (and correctly)? 3. Describe the technology the app will use. 4. What is significant about West Virginia’s pilot program? Sony’s PlayStation Network, eBay, Target, Home Depot, etc. customers’ personal information stolen. a) CHALLENGE: Ask at least two fairly tech-savvy people over the age of 50: Do you think using an app to vote a good idea? Please explain your answer.